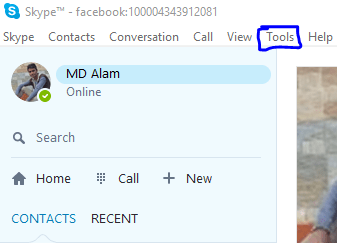 Skype is a common name to all of us. You can video chat here very clearly. This is a very helpful tool to all of us. It’s help businessman a lot. Cause of their business they can make a conversation with their customer. 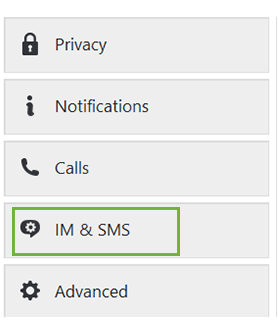 By default, Skype shows your conversation partners that you’re typing something even before you send the message. 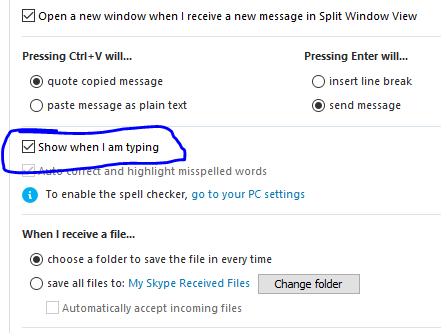 Yes and the trick name is Disable Skype’s Typing Indicator. We will show you how can you fix this problem easily. As we say that you can chat here with a group of your friends. You can make here many group. It will help you to maintain other’s friends in different way. It can help you on many sector in your life. So let’s know about our trick. This is a simple matter. But some of our people don’t want that feature. On Skype, it’s also an easy problem to fix. You can fix it very easily. Here’s how to disable the typing indicator of skype. Select Tools from the bar atop the screen. Then select Options form tools. After that choose IM & SMS from the menu on the left. After that you need to select Advance Option at the top right side. Uncheck the box next to ‘Show when I am typing’. That’s it. You have done your work. Now you can enjoy your wanted option. Now your friends will not able to see when you are writing. You can see the task is very simple. Hope you like our trick and enjoyed it so much. Stay with us to know to more. What do you or your company aim to achieve with social media?